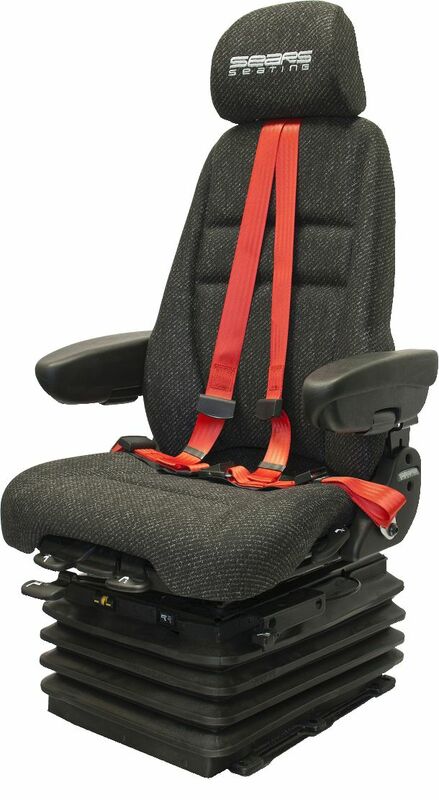 The ULTIMATE range of seats for mining equipment, offers ultimate comfort, durability and ride. Fitted with patented TOGGLE LINK low frequency Airide suspension and patented Durapuck slides which are industry proven. ROR, Roll Over Restraint seat belt fitted. Roll over testing has shown that the ROR seat belt provides superior occupant restraint in the event of a roll over compared to a lap belt, a 3 point lap sash seat belt or a 4 point harness seat belt. 45-220KG Weight Rating.